This year we are delighted to offer a wide selection of experiences to make Valentine’s Day more glamorous. Celebrate with our Valentine’s set dinner at the Clubhouse priced from THB 3,800++ per guest, spark romantic flames with the intimate ‘Dining on The Rocks’, priced at THB 50,000++ per couple. 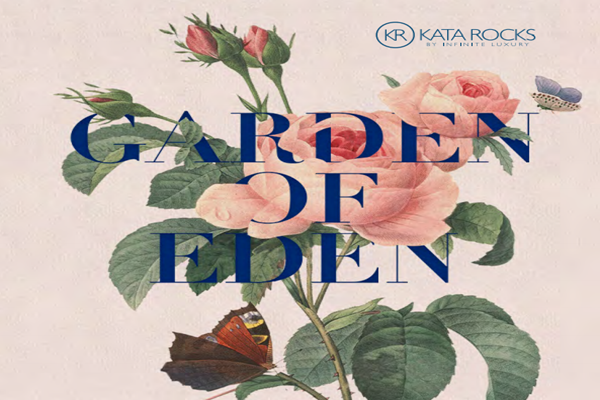 Or discover the true meaning of passion with The Kata Rocks ‘Garden of Eden’ Experience package starting from THB 137,900 per couple. Spend a perfect Valentine’s Day or night at Phuket’s most desirable lifestyle destination. To enquire please call +66 (0)76 370 777 or email [email protected].